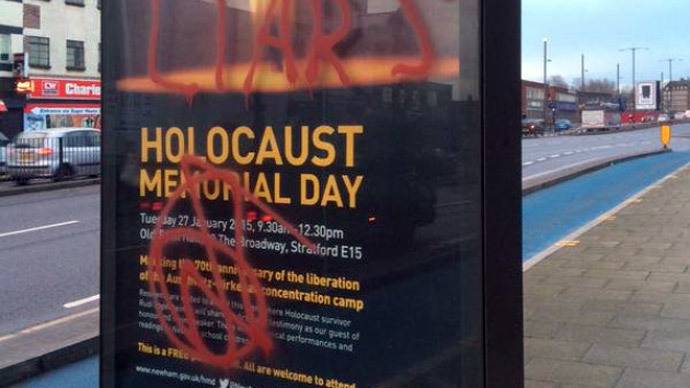 Anti-Semitic graffiti has been sprayed on posters promoting Holocaust Memorial Day in the London borough of Newham. The graffiti, which is currently being investigated by the capital’s police force, was sprayed on two posters in High Street, Stratford, and on another poster in West Ham Lane, near Stratford Park. “I couldn’t believe that anyone would stoop so low as to scrawl that graffiti – not something I expect to see in London in 2015,” resident James Tattle told the Newham Recorder. 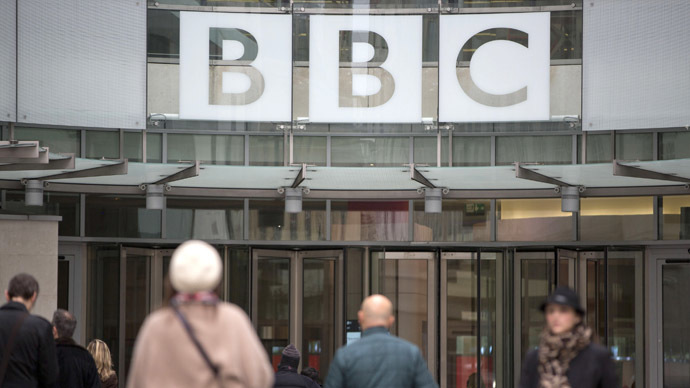 “This despicable and cowardly hate crime is an assault on the values of decency and mutual respect which the vast majority of us share,” he said. 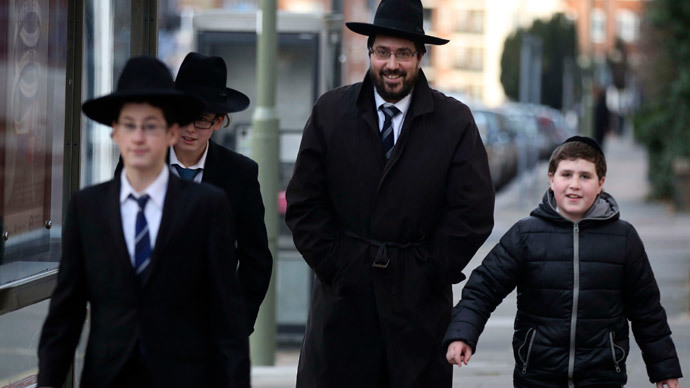 “This outrage underlines not only the importance of keeping the memory of the Holocaust alive but of standing up to intolerance and hatred at every opportunity,” he said. Newham Council is to hold a Holocaust Memorial Day event on January 27 in Stratford Town Hall, which will include a firsthand account from a Holocaust survivor. 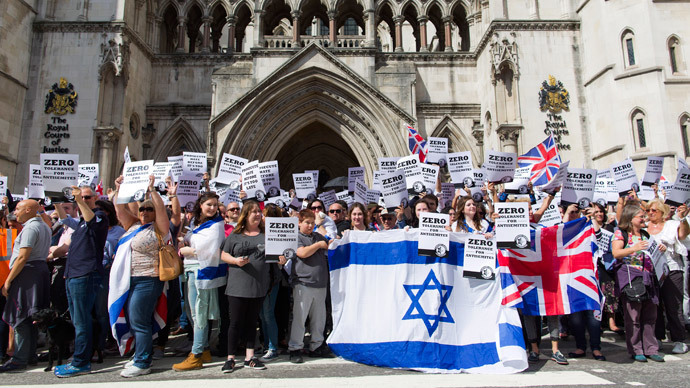 The attack comes days after a new study revealed more than half of British Jews feel they have “no future” in the UK and that Britain was at a “tipping point” with Jewish families questioning whether they should remain in the country. 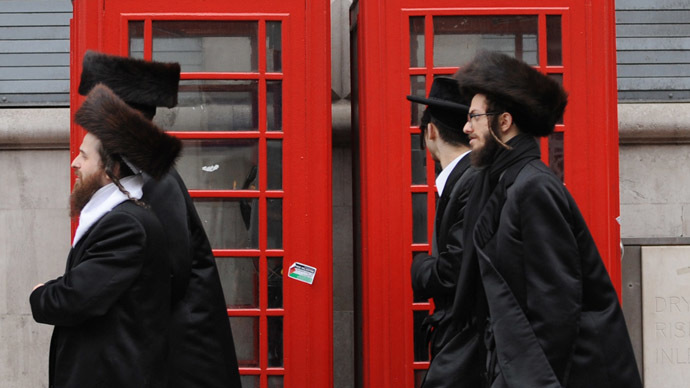 The survey, conducted by YouGov, showed that 45 percent of Britons agreed in some form with anti-Semitic sentiments, with one in five saying that Jewish loyalty to Israel made them “less loyal” to Britain than non-Jews. It also found that one in eight Brits surveyed (13 percent) thought Jews used talking about the Holocaust to get sympathy.